Do you ever sit at your desk and tap along to the beat of a song? Is the steering wheel in your car a full-on drum set when your favorite song comes is playing? If you're like me, you're a world class drummer in your own head. 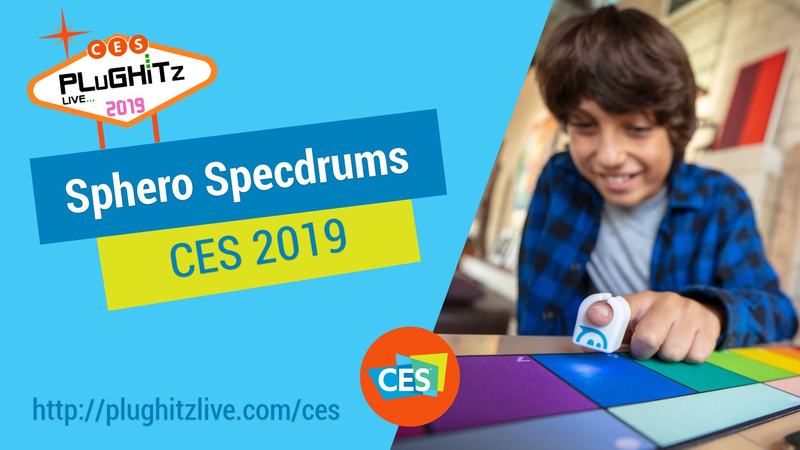 So, for all of us who don't quite have the time or drum set to become rock stars, Sphero has introduced Specdrums. They work by sending a very quick, low latency color signal to the app on your device. The colors can be programmed in the app to have a specific sound for each color. They also have curated packs in the app for different genres of music. Each pack has a combination of loops that continue to play like drum or baseline and also some instruments like a keyboard. With all of these great features, they sound great right out of the box. And with all of the customization choices available, you'll have your own amazing creations in no time. They offer sets with one ring for $64.99 or expand your play experience with a 2 ring set that allows you to switch it up using two hands with more versatility or to play with friends for $99.